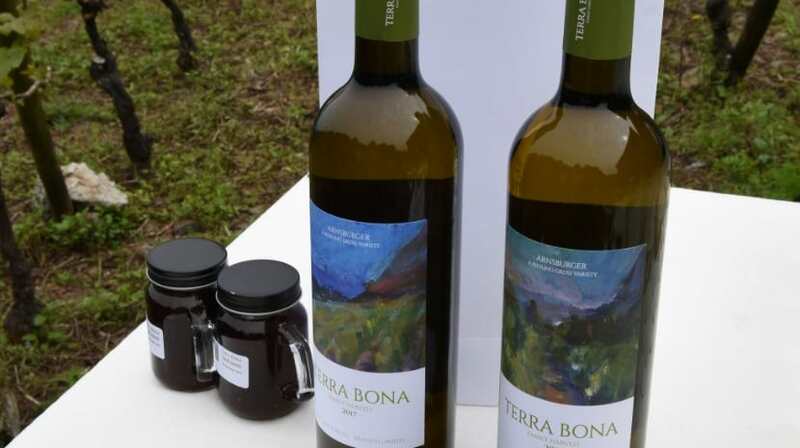 The first harvest of white wine Terras de Boaventura Colheita Familiar 2017, won a bronze medal at the largest and most prestigious international wine competition, the IWC International Wine Challenge, which was held in London this month, and the results were released yesterday . The blind competition brings together wines from more than 40 countries, from five continents, where Madeira, its North Coast, and especially the Lands of Boaventura, were represented. “If this recognition at the highest level was already and has had for many years our excellent liqueur wines, the Madeira, has also been to table wine, under our brand, Terra Bonita, Lands of Boaventura. We also share this recognition with our predecessor, who has planted our vineyards for more than twenty years, the choice of grape variety and location, with the professional who has accompanied us since the beginning of this project and who has helped and trained us a lot, promoting an environmentally sustainable viticulture, as well as with the IVBAM, with a special thanks to all the team of the Adega de São Vicente, led by oenologist João Pedro Machado, “said Marco Jardim ..
Arnsburger is a white variety. It was created in 1939 by Heinrich Birk (1898-1973) at the Geisenheim Grape Breeding Institute, which originated in the Riesling breed. It was named after the Abbey of Arnsburg, a ruin of a Cistercian abbey in Wetterau, as a tribute to the importance of the Cistercians in the history of German wine. In addition to Germany, small plantations are known in Madeira, Italy and New Zealand. Arnsburger has a fruity similar to Riesling. “Crystalline wine of citric coloration. Aroma complex, where the notes of tropical fruit stand out, on a floral background. In the mouth, the wine is fresh, enveloping and with an interesting minerality. Nice Persistence “. This is how the winemaker João Pedro Machado describes the wine medal in such a prestigious contest.